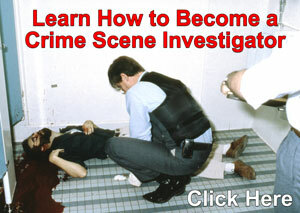 Processes crimes scenes for trace evidence and other forms of evidence. Collects, packs, and documents evidence, and transports it to examination facilities or secure storage areas. Assists in the investigation of criminal activities by providing evidential processing support to the Detective and Uniform Divisions of the Department. Maintains absolute chain of custody of criminal evidence and/or property. Maintains confidentiality of records and knowledge of investigations and does not divulge information to non-law enforcement persons or entities. Testifies in criminal and civil trials regarding the handling of evidence and property items. Manages the property/evidence database system of the Department in accordance with Department policies. Reviews case status and dispositions to determine those items of evidence and/or property that can be disposed of or returned to the property owner. Contacts property owners in an effort to release items of evidence and/or property from the Evidence Room, as appropriate. Processes evidentiary videos for storage and/or dissemination to supporting agencies. Processes media devices for the collection of stored data. Orders and distributes Department supplies and materials related to the evidence collection/property management function. Has thorough knowledge and understanding of all of the Department’s General Orders, while at the same time maintaining the confidentiality of all General Orders so as to better ensure the health and safety of all members of the Department and of the public at large. Takes all reasonable steps to maintain a safe work environment. Minimum knowledge equivalent to a bachelor’s of science degree in physical science, business administration, or related field. Minimum experience equivalent to over one year in the job duties outlined herein. Minimum experience equivalent to over one year with software applications such as Microsoft Office products and Google documents. Specific knowledge with video/digital media software. Computer data and mobile phone data extraction software knowledge is preferred. 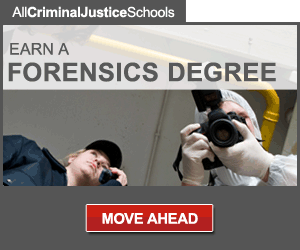 Ability to be trained both on the job and at various locations in the Crime Scene Technician’s duties. Ability to work inconsistent schedules from week to week and to respond to major crime events during assigned “on-call” status after regular working hours, on weekends, or any other time as needed. Knowledge of the legal requirements pertaining to the collection, preservation, and presentation of evidence in criminal and civil trials. Ability to prepare and maintain complex legal records. Ability to effectively communicated, both verbally and in writing, to a wide variety of audiences. Ability to operate a variety of complex machines and electronic devices, i.e., cameras, audio systems, video systems, packing devices, wrapping devices, scales and balances, etc. Ability to successfully pass a background investigation to include criminal and financial checks. The employee will be subject to random substance abuse physical examinations and deception detection examinations during employment.